Ridesharing firm Grab Philippines will be rolling out its premium tricycle services nationwide through its partnership with AutoItalia Philippines which is the local distributor of three-wheeled Piaggio Ape vehicles. In a statement Monday, Nov. 5, Grab Philippines country head Brian Cu said their GrabTrike Premium service is an upgrade to GrabTrike and will serve as an additional transportation mode for short-distance commuting. “Transport modernization has always been in Grab’s core. 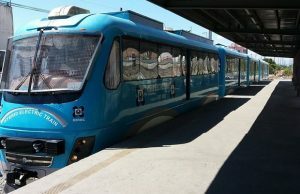 Our goal is to provide a full spectrum of transportation solutions with localized and modernized services for everyday needs, no matter what vehicle they prefer or how short their journey is,” Cu said. “Through our combined efforts with AutoItalia Philippines, we hope to work with LGUs (local government units) to improve short-distance commute in more cities in the Philippines while improving driver welfare and passenger experience,” he added. The municipality of Binalonan in Pangasinan province will be the first local government in the country to adopt the premium tricycle services with 24 Piaggo Ape units. Around 2,000 Euro-4 compliant Piaggo Ape vehicles will be deployed in the country, according to the ride-hailing firm. Grab and AutoItalia Philippines will be coordinating with LGUs, which has jurisdiction over the franchises of tricycles, to adopt the use of Piaggio Apé units either by increasing the number of franchises or by using them as a replacement option for older tricycles. The fare scheme for GrabTrike Premium will depend on the rates approved by LGUs on top of a P10 booking fee which will go directly to the driver. With its low acquisition cost, Piaggo Ape is envisioned to facilitate the modernization of the country’s transportation sector particularly in marginalized areas without access to bigger modes of transport.